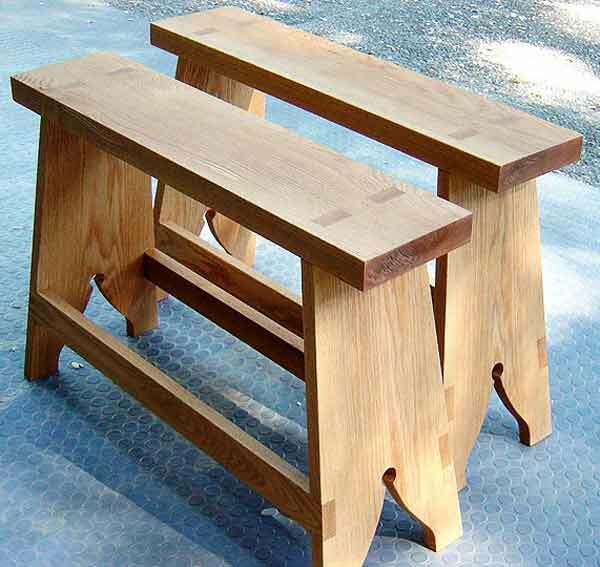 A fine example of the traditional saw bench featuring traditional joinery. From finewoodworking.com, sign up for a free 14 day trial to get access to this project and many others. As useful as a collection of sawhorses are, they do tend to take up a lot of space in your workshop. 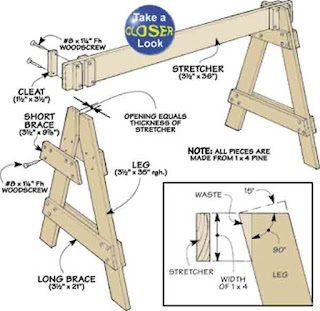 The plans show a jig to cut the angles on a table saw. 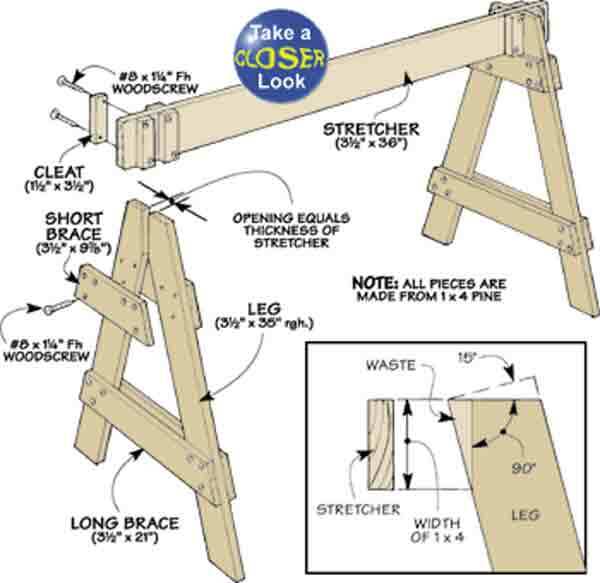 This will ensure all angles are the same. 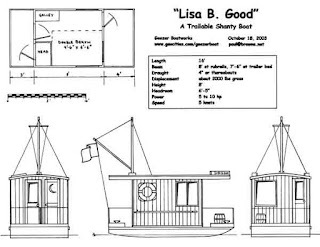 For a more challenging project, download these plans from woodsmithshop.com. 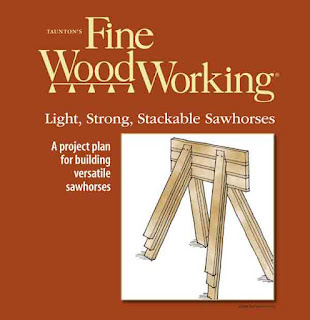 The plans are free, the only thing they want from you is a subscription to their free woodworking tips mailing list. 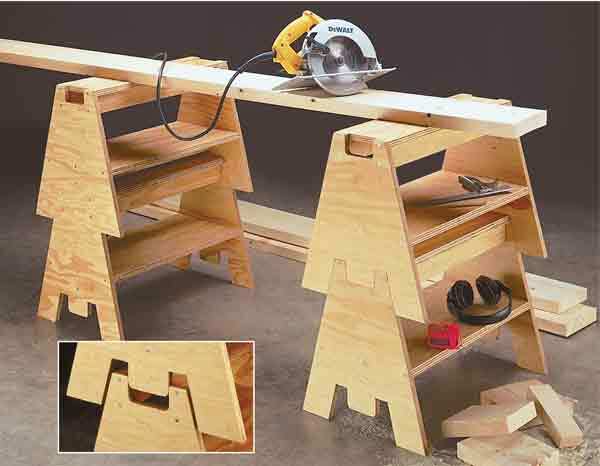 An essential tool for making this project is a router fitted with a flush trim cutting bit. To make the best use of this method you need to mount the router upside down in a router table. I made a simple version for my D-handle router. 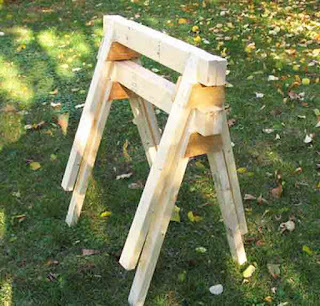 Simple, sturdy, stackable from woodgears.ca. 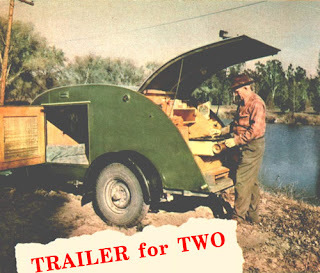 If only everything was so easy. Save even more space. 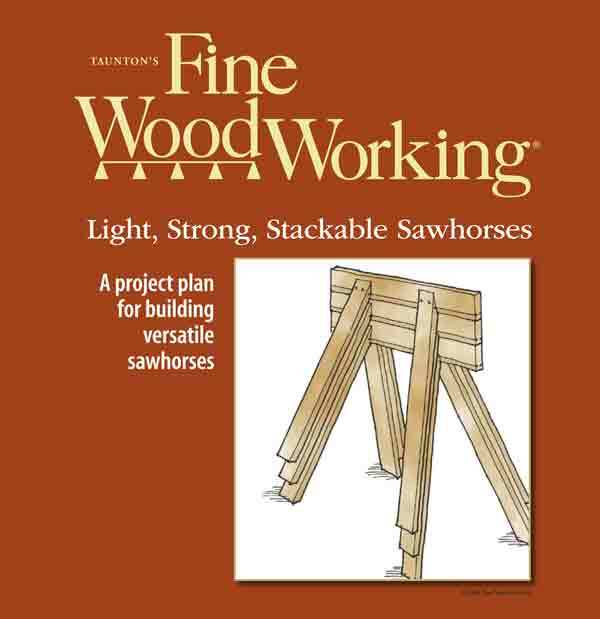 The author used 1x4 pine. 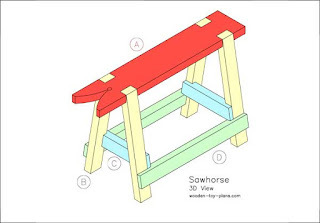 Free saw horse plans for the cheapest, ugliest, most functional sawhorse you will ever build.